If you’ve been following our adventures and reviews over the years, you’ll know we’ve followed a fairly extensive path through Starboard’s evolving line up trying to find the perfect board for the waters around West Vancouver’s rockier shorelines. 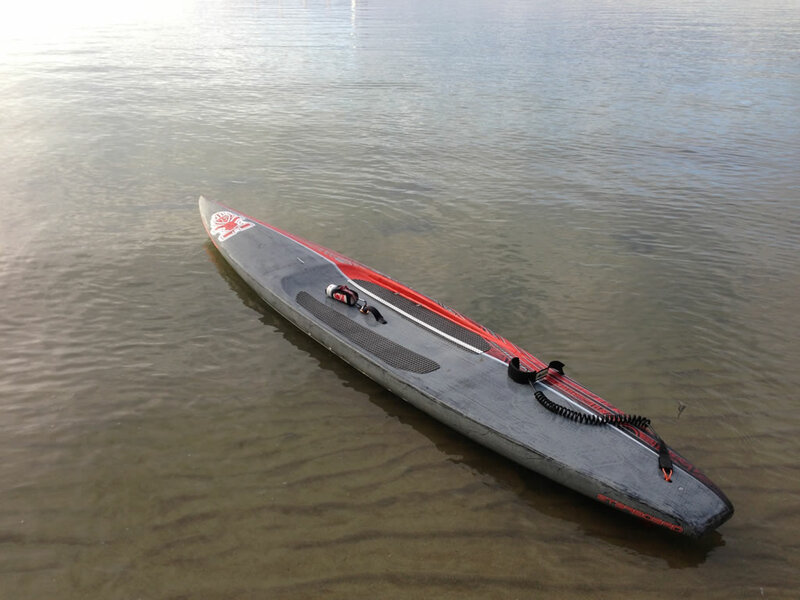 2009 Starboard K15: wonderful flatwater tourer, but lacking stability in rougher waters. 2011 Starboard Race: Great stability, but could be faster. 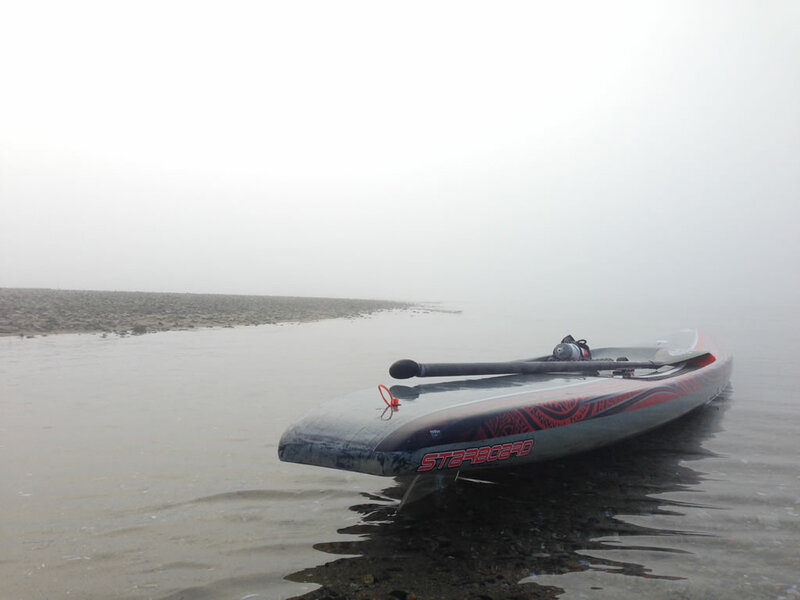 2012 Starboard Coast Runner: Awesome downwinder but sluggish on the flats. 2012 Starboard Touring: A nice mix of stability and speed, but still a bit slow. This leads us to the latest entry, the 2013 Starboard 14’x27.5″ All-Star in Brushed Carbon and dare I say we’re so close to perfection I can almost taste it! The All-Star is Starboard’s all-water race board, designed for “maximum performance in any conditions, from chop to ocean swell”, and it delivers in those conditions, but I was surprised that it also performed admirably well in glassy conditions. Not as good as the Sprint, their flatwater specialist, but markedly faster than many of the other Starboards I’ve tried over the years. The All-Star is clearly based on last year’s Starboard Coast Runner, having the same general outline but a sleeker nose, thinner overall profile, slightly softer rails and a wider tail block. 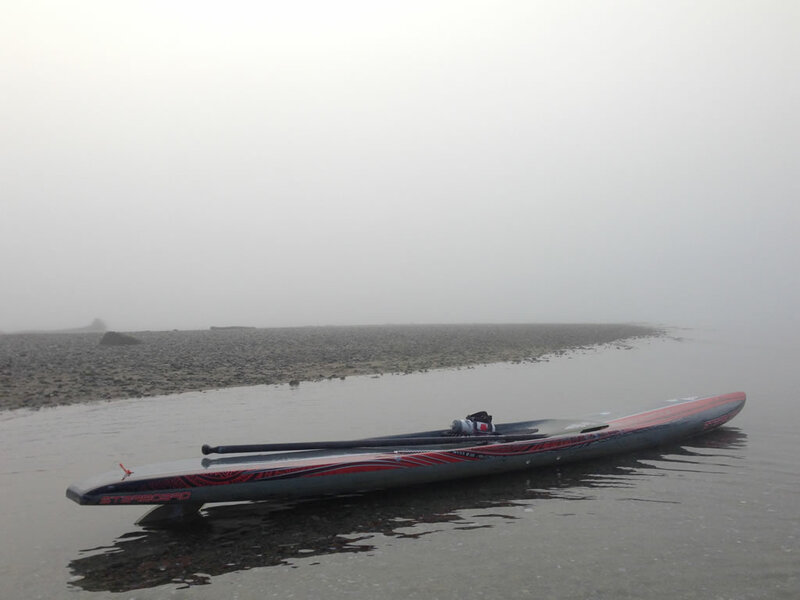 I’ve been testing this board for the past year on the waters around Lighthouse Park, and I think the statistics speak for themselves… My average speeds with the 2013 All Star Brushed Carbon are about 0.4 to 0.5 km/h faster than my paddling on Coast Runner AST and 2011 Race Carbon. That may not seem like much, but it does represent a 7-8% improvement over these other boards, which is pretty massive! Unfortunately this new found speed, to some degree, has come at the price of durability. I’m a bit of a brute when it comes to paddling and regularly whack the rails with my paddle. That said though, if you’re careful around the rocks, and take care not to impact the rails with your paddle (or layer the rails with a protective layer of rail or helicopter tape), you should be good to go. To add, from what we understand this issue has been resolved in later production runs, with the addition of another layer of fibreglass during the production process. I’m one of the bigger paddlers around (at 6’4/235lb), so this next issue may not be a problem for lighter paddlers, but I’ve had some problems with the board in challenging cross-chop conditions. She performs perfectly fine when charging against or with a linear swell, but when the swell is coming from all directions, the rather shallow footwell area fills up with water very quickly, leaving the board exceptionally unstable, and me usually in the water. I don’t know if different or larger drain hole placement, or perhaps an open tail would help alleviate the issue, but as it stands the All-Star is not on the top of my list when it comes to cross-chop swell… In those sorts of conditions I’d much rather paddle a flat top race board like an SIC X-14, or just an all-rounder. All in all, it’s been pretty amazing to see progress in Starboard’s raceboard line up and how they’ve managed to address key concerns moving forward year to year, especially when it comes to their innovations on all-water racing boards. Tonight’s Deep Cove Adult SUP Race is still on! The #1 Standup Paddleboard Race in Vancouver is Back!